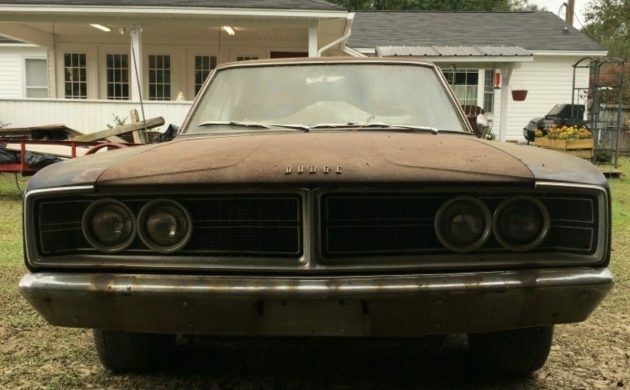 This rough-and-ready Dodge Coronet hits all the right buttons if you’re the kind of enthusiast that likes sleepers and cars that appear to have been left out in the sun too long. Sporting heavily-patina’d paint with a rare combination of a 383 mill and four-speed manual gearbox, the Coronet looks perfect to me as-is, but could also do nicely with a mildly lowered suspension and a free-flowing exhaust. Find it here on eBay with a $5,000 starting bid or a $7,800 Buy-It-Now. 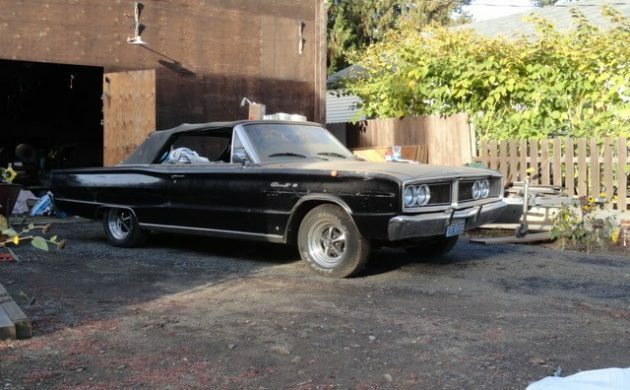 The seller notes the Coronet is likely one of less than 3,000 cars optioned this way, with the 383 and a stick. That’s still more than I expected, but not a lot. The bodywork presents as being fairly straight despite the paint worn away, but the seller notes there’s still rust repair to be done. Areas needing attention include the bottom edge of the front fenders, trunk panel edge, and hood leading edge. Although it’s been in South Carolina since new, that doesn’t mean it escaped the clutches of the tin worm. But wait, there’s more! According to the seller, “…the battery rusted part of the inner fender. There is surface rust on the passenger side roof area, but no so heavy it couldn’t be repaired. 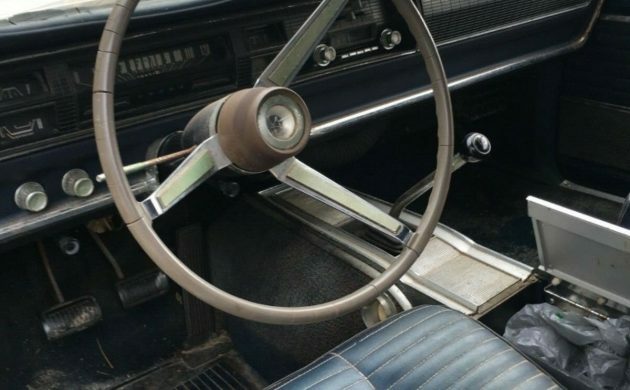 There is a small spot in the passenger side floor about the size of a quarter that is spider webbing through the undercoating in the front floorboard.” It doesn’t matter, however, when you see that clean interior with bucket seats and three pedals – how awesome would it be to fire this Coronet up and shake those dog-dish hubcaps loose? You can spot some of the inner fender rust in the bottom-right corner of the photo. 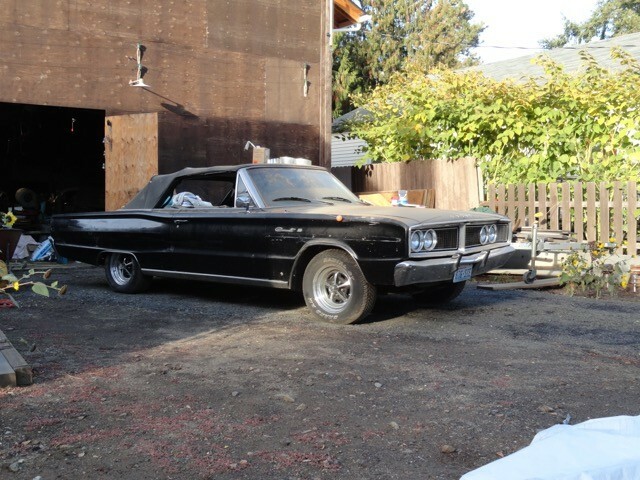 This Coronet will do yard drives, so you’re buying a runner, even if it still needs full mechanical restoration. The engine is a claimed numbers-matching unit, and the body panels are said to be original as well. 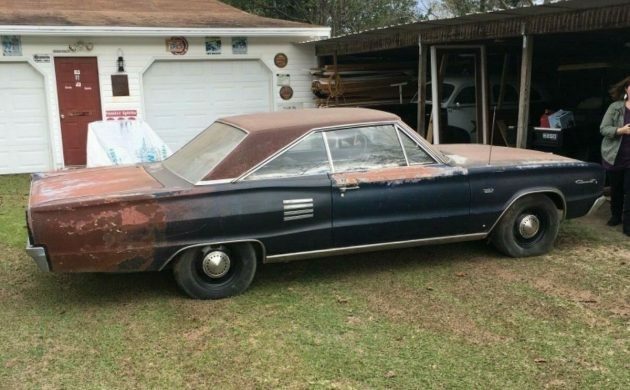 For $5,000, this Coronet gives you plenty of options for the restoration or resto-mod of your choice, backed by a desirable motor and transmission combination. Seems hard to go wrong to me. Nice one, Jeff! 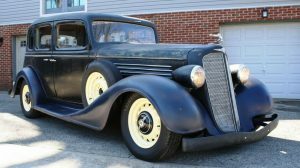 Aside from the rust this has a lot going for it… very original, great combo with the 383 and four-speed, 500 trim, and console. 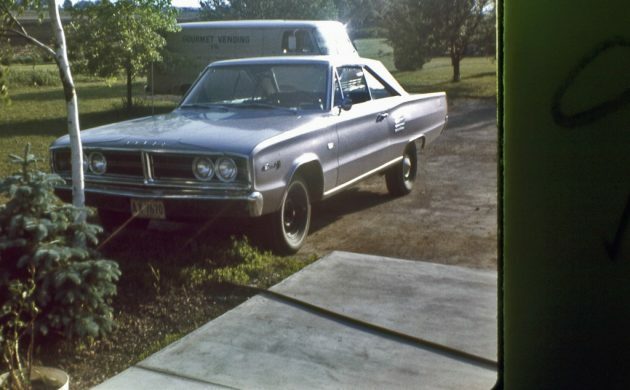 I owned a ’66 Coronet but mine wasn’t nearly as cool as this one could be. If I didn’t have two non-running project cars I’d consider it! 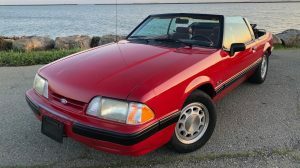 Thanks for a great find and write-up! 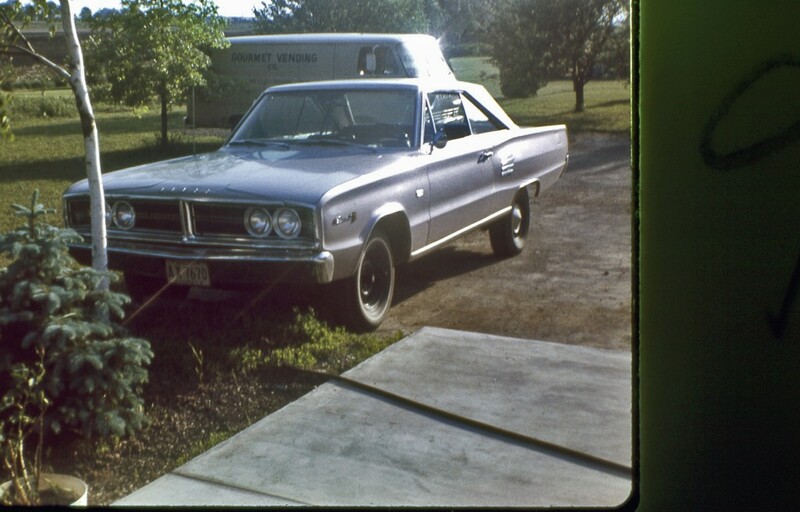 It was an automatic and it belonged to my brother, but I loved it… first car I ever drove, at 14. 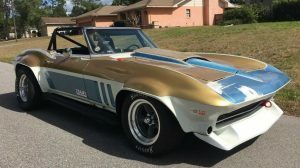 I had a friend in late 70s had this in convertible version wonder how many of those were made. I had a ’67 convertible, maroon (I know someone will reference the correct color! ), with a 318. 500 Series or 440? Black seats that would fry the back of your legs if you didn’t put a towel down. Really easy engine to work on. Great car. Cheap money for this sleeper. Seeing that 4 speed shifter stickin’ out of the console is begging to return to the drag strip. Extremely cool. Good luck to the lucky new owner!! 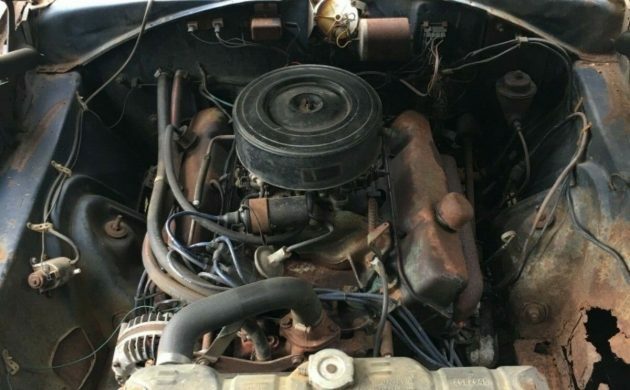 Early Mopar classic at nice price worth getting a fresh paint job and a lumpy cam for the big block! It would be a blast with the 4speed! I can forgive a lot of sins when I see a factory 4 speed, but this example seems too far gone. You would be upside down in no time. 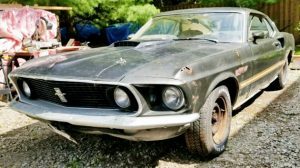 I buy my cars to drive and not as an investment , but I think it would be cheaper in the long run to buy a better project. Yeah, I agree with you. The rust on this one is WAY past patina. 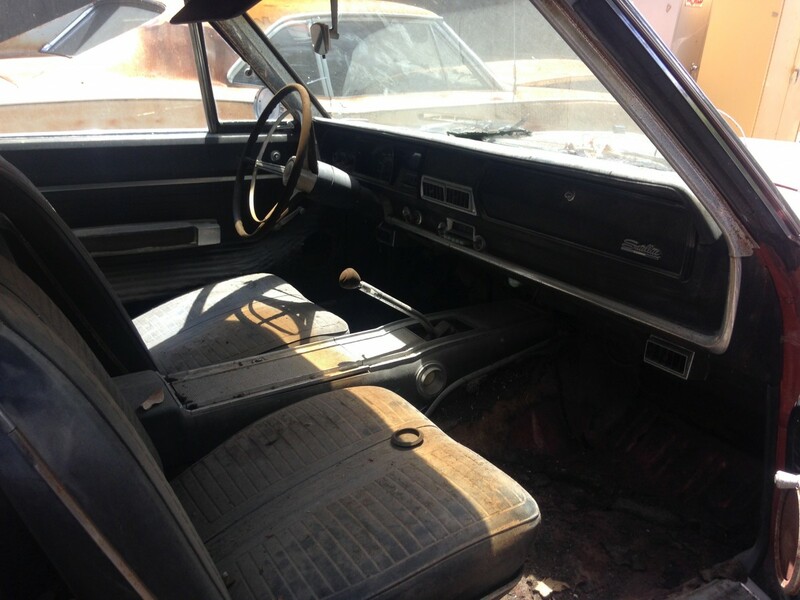 Fix all that, new interior as everything is crusty/cracked, upside down in no time. It’s a great deal and a keeper. Wish I could snap it up. 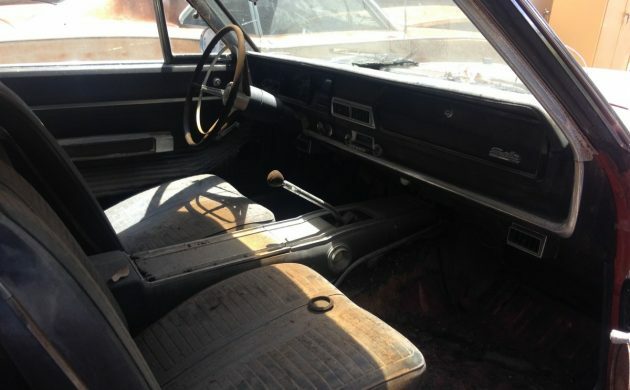 Love the styling of the 62 thru late 60’s Plymouths and Dodges I like others have my hands full with two projects but with what I think is a reasonable price I would like to own it. One thing where I differ from other comments is I always like the feel when that torqueflite shifted. Sometimes it’s about choice, sometimes it’s about chance. Everyone doesn’t have the same tools in their toolbox. Even so, you show up every day on time, clean and sober, and do the best you can with what they want you to do and good things will happen for you. Don’t begrudge others. My doctor never built a power station and my gag reflex starts with transmission fluid. Someone once told me that it didn’t have to look good to go fast. You’re on the right track, I believe. These are the first cars I remember clearly, being unloaded off the trucks at the dealership. Love the crisp, chiseled lines and super easy to work on mechanics. Goes like a striped ape, agile handling, good stopping, AND the top goes down ! Love the clean interiors of these. My car has a bench seat, so the shifter comes up out of the carpet. Very unusual to see without the console. Would sure like to add power windows. About the only thing I wish was different on the car.